Paris, City of Love, that’s the last destination of Kelana Convoy (KC) trip. As for my European Trip, it will end in London. Since London is not part of KC trip, I have to make my own itinerary here. 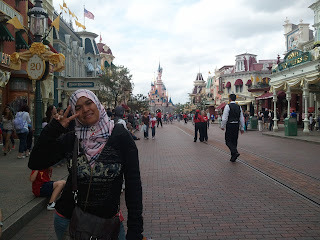 We spent the days in Paris by visiting Disneyland and going around Paris city. The first day is spent on Disneyland and Walt Disney Studio alone. For those 2 parks, I paid the entrance fees for 45 euros. It’s quite cheap since we came as big group. Normal price for these 2 parks is about 75 euros. Here, it is all about indulging the inner kid in you. Getting close to your Disney characters like mickey and mini, Donald duck, goofy, is like a dream come true. And the rides are just mindblowing. 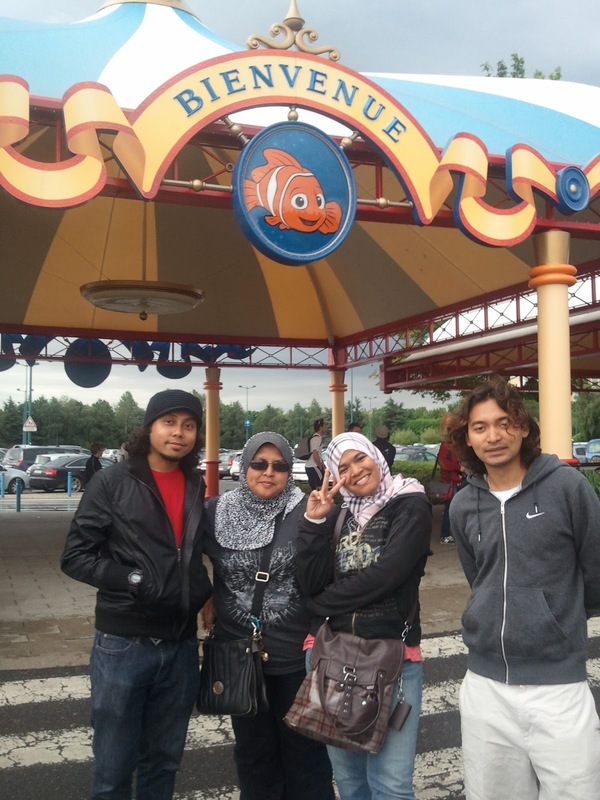 Me n few adrenaline junkie friends went to mostly extreme rides (well, ques are long, but it’s summer in Europe, what to do?! )..The space adventure rides is THE best ride of all. It’s about 3g in the train at 230 km/h…my heart was at my feet! Other ride for kiddo like “It’s a small world” is really entertaining and the song just stuck in your ahead, even after you left this place. The next day, we spent in touring Paris City. I had to dissociate myself from the group half way since I have bought ticket to top of Eiffel Tower. I bought it online 3 months prior to the trip. Some of us tried to buy it one month before the trip but it was sold out. I was lucky I guess. 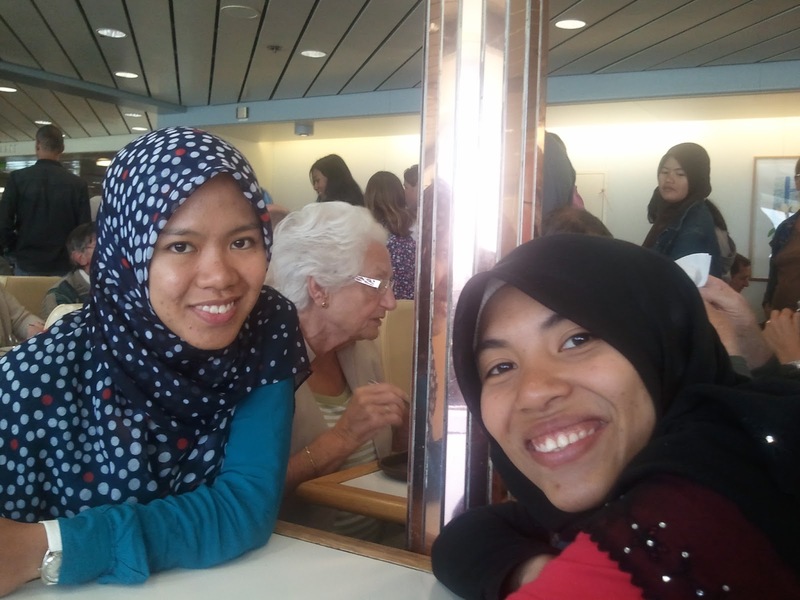 Since I was not familiar with Paris, 2 UK students, Mira and Wani (owe them big time!) decided to join me and show me around. We went by metro to Eiffel Tower. For those who thought to just buy the ticket in-situ, just forget about it. The queues are just soooo long and unmoving! Since I was the only one with the ticket, the other 2 girls decided to wait for me at the entrance till I get down. I promised them I will get down after 2 hours. However, there was miscommunication. Due to my eagerness to get to the entrance, I could not hear them said that they will wait at the park instead and not the entrance since they were many people there. My bad! And that didn’t stop there. As I was queuing to get to the first lift, which is after the entrance (which means I could not go out), I was told that only 1 lift is working instead of 2. So, there was quite a long queue already. I was trying to get my phone to contact them that it will take more than 2 hours long when I realized that I didn’t have their numbers!! What an idiot I am! 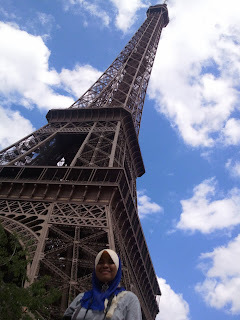 As I was panicking, I didn’t let it dampen my mood since I know, if I didn’t enjoy this trip, I dun know if I ever have the second chance of being on top of Eiffel Tower. It took me more than 1 hour just to get to the top. And once there, I took only 20 minutes to take pictures here and there. I knew I will spend some time alone before the trip that I equipped myself with camera with rotated screen. I could just take my own photo everywhere. The view from the top of the tower are just A.M.A.Z.E.B,A.L.L (as Giulana would put it! )…I can see all of Paris! If only I know what place is where it would make it more meaningful. It’s ok, I hope there will be second time for me in Paris! After taking photos, I quickly queued for the trip down. I promised them (yes, at the entrance, while they thought the meeting point at the park, duh!) at 5pm, however, I managed to get to the entrance at 510pm, and that is by taking lift from the top to midway and taking stairs from midway to the entrance (There are 2 level of lifts, till midway of tower and the other one till top of tower, my ticket entitled me lift all the way up and all the way down). I was exhausted and after searching hi and lo for them (yes, at the entrance, I dun want to repeat myself), for half an hour, I quickly weigh in my options. I have one more destination to go. Louvre Museum. This is really in my itinerary (due to Davinci’s Code, of course!). It’s either I go on my own by metro to the museum or wait and search for them. KC would be at the Eiffel Tower entrance around 7pm to pick us up. It was already 540pm. Somemore, we bought the daily pass metro ticket. It will go to waste! I decided to venture on my own since the girls had told me on how to go to the museum before we get to Eiffel Tower. Yes, I was alone in Paris. Scared, but my determination just won over. And I made it to the museum. A really huge pat on my back. I spent about 20 minutes taking pictures there and run for the train back to Eiffel Tower. Managed to get to Eiffel Tower 10 minutes before 7pm. However, I nearly cried coz it took me another half an hour to finally find familiar face from KC trip. If I didn’t find anyone, I have to make it on my own to the camp site. I have no idea how to get there! That’s how my days in Paris. Next stop, London! great post...can't wait for the next one.